I love the hobby of digital photograph, taking as many pictures as I want, choosing my favourites, tweaking them a bit using PicMonkey, sharing and having a visual record for myself. Low cost hobby (after the camera cost). Favourite find Sunday was a red birdhouse. Washboard was another fortunate weekend find. Vintage jug is from my Mom's collection that joined my home last week. Boxwood from this project. 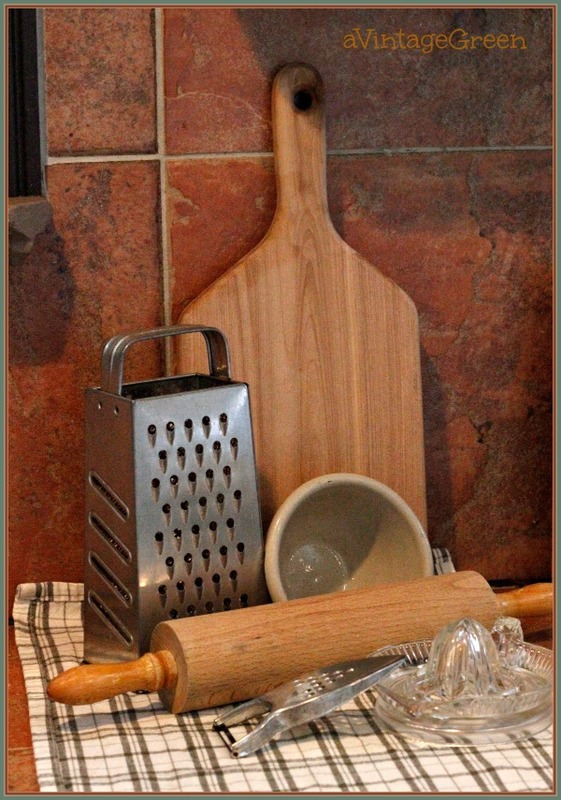 Cutting board, small stoneware bowl, reamer, graters and rolling pin, kitchenware. Judy of 20 North Ora, a lovely blogging friend, posts her vintage finds each week and I admire the way she presents and showcases her treasures. 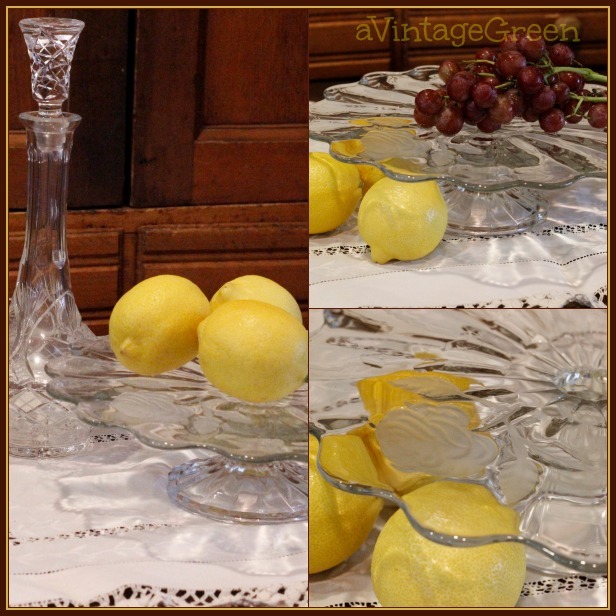 Tried out lemons and grapes on a footed glass cake plate over a vintage table cover. I am developing a yen for a 60 mm lens. MMS has been posting very clear demonstrations on how she sets up a photoshoot, layering her collectibles. She also shows the wider picture surroundings just to keep things 'real'. Donna of Funky Junk Interiors often blogs about trying out things outside ones comfort zone and shares photo techniques. Today I found another great idea for backdrops by Jamie at Anderson and Grant. All photos were inside/daylight/kitchen lights on, 50 mm lens, F5.6, ISO 6400, manual focus, using a tripod. Still learning. I think your photos are great! I am hoping to get out my camera and just enjoy looking through the lens again! I love all your treasures!!! I will NEVER be a photographer but I love seeing what all my talented friends like YOU do!!! Wow! These turned out GREAT for ISO 6400! If I go even to ISO 1800, the grain in my photos are unbearable. Do you have a Mark III? And you did a beautiful styling job! All nice but the lemons ? Looks like a magazine picture! :) Love! Wonderful treasures and the photos are great! I love playing around with picmonkey! Have a great evening and week ahead! Your presentation is nice, as are the things you bought. I use PicMonkey a lot too and am thankful that it is free. Your photos are so lovely! You do an awesome job taking pictures. I love all of your items. That red birdcage adds just the perfect pop of color in that vignette. Beautiful! Me again!! Thanks for the kind words! It is fun trying our new ways of taking pictures. 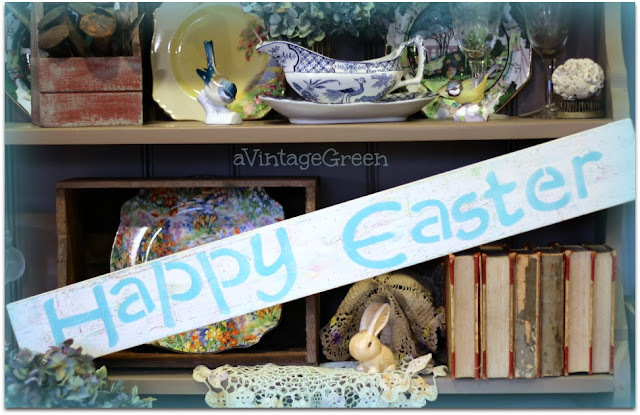 Your vintage vignettes are all great! I would love to find an old washboard like yours - I remember my mother using one - now that's showing my age!! Nicely done. I love your eye. 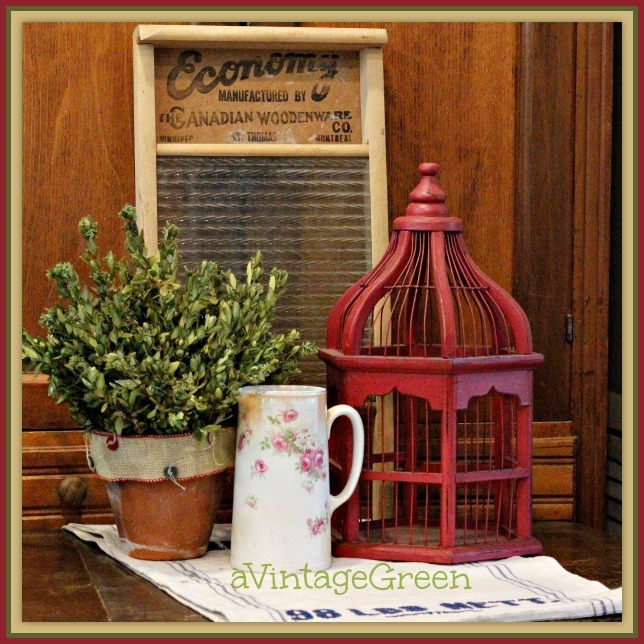 I love the red bird house - great find - It lends itself beautifully to your vignette. Great vignette! The digital world certainly opened up the fun didn't it! Now that you say that, "I like the way she presented her treasures" ......that made me realise I do not do that. I will try to do that next time. Thanks for the idea. Such great finds....love the red birdcage!